Scientists at Scripps Institution of Oceanography say climate change will alter the pattern of Santa Ana winds and move the peak Southern California fire season into the winter. Climate scientists Janin Guzman-Morales and Alexander Gershunov report in the journal Geophysical Research Letters Thursday that Santa Ana winds will become less frequent in early and late parts of the traditional October to April season. But the winds will grow in relative intensity and duration during the winter, shifting the peak fire season. A succession of Santa Ana wind events fanned what became the largest fire in Southern California history, the Thomas Fire, in December 2017. 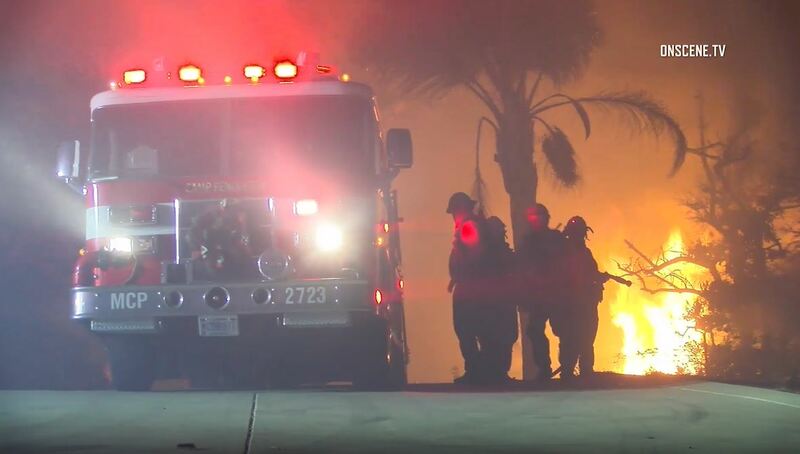 The fire burned 440 square miles in Ventura and Santa Barbara counties before being contained in January 2018.